The duty free and travel retail business in South America experienced one of its most difficult years in recent memory in 2018, a situation that took place practically overnight. A company like Dufry, which has airport operations in nearly every country in the region, had an especially large exposure, but immediately enacted a number of strategic initiatives to protect its business as much as possible until the cycle recovered. The duty free business in the region was down an average of 25% in 2018 compared to the year before, noted ASUTIL Secretary General Jose Luis Donagaray recently, and some reports put the border business in the region down double that amount. 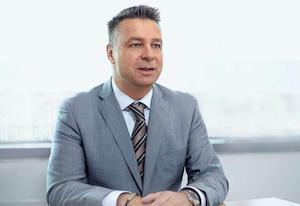 Rene Riedi, Divisional Chief Executive Officer Central and South America for Dufry, spoke with TMI about how the company responded to the sudden shift in business. Riedi oversees Dufry’s business in Central and South America, as well as its cruise ship division. “Last year was very challenging. There were elections in Mexico, Colombia, Paraguay and Brazil, so we were expecting a bump here and there. But then we, as many others, got surprised by the devaluation in Argentina, and the severe reaction, which we did not see coming. And it happened from one day to another in March/April,” said Riedi. By the middle of last year, the Argentine peso had hit record lows against the U.S. dollar, and the country faced one financial crisis after another. Because many people had bought tickets in advance – especially in Argentina- the airports continued to see a steady passenger flow in the first weeks after the crisis began, he noted. Riedi says that Dufry had to create a reason for passengers to come into their stores. Dufry management developed an individual plan for each market. “We asked ourselves: What can we do more? And we realized that there are four elements that you must have right: 1. the assortment; 2. availability; 3. promotions; and 4. staff incentives and motivation. “You have to have the products, you have to have the products available, no out of stocks, you have to have promotions in place and you have to motivate your staff – they are the most essential,” he stressed. “You have to be guided by these elements and you have to ask every day ‘Are we doing it right? Do we need to make changes today? Do we need to increase promotions even more? Do we need to add more incentives to the staff?’ The staff in the store can make a difference if they are motivated – with trading up/ cross selling/ up selling/ or convincing a reluctant passenger to buy something,” he added. He explains: “As the currency starts to stabilize, gradually consumers gain back some confidence. And, as the domestic market depletes its stock on hand, it will have to replenish at a higher cost. Over time, this restores the price differential between the domestic market and duty free. 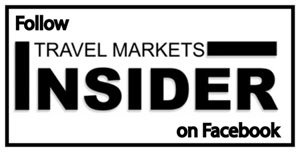 “We are in the phase now where we are starting to see the restoration of the price differential between domestic and duty free,” he reports. Since Dufry had invested so heavily in upgrading its stores in Brazil before the World Cup and the Olympics, the company did not have any major investments in Brazil last year. Dufry’s newly renovated 3,000 sq meter flagship Departures store in Buenos Aires’s Ezeiza International Airport Terminal A that launched in February introduces the company’s New Generation store concept in Argentina. 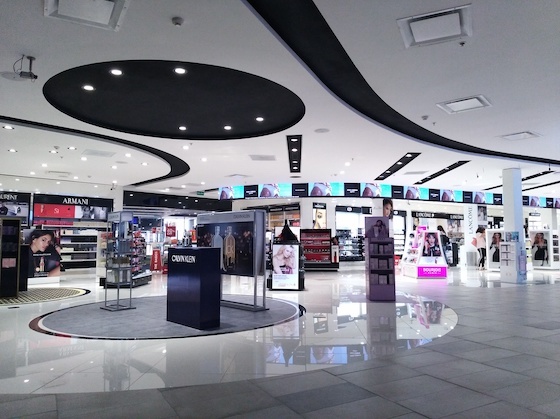 Dufry completed a major refurbishment of its flagship duty free store in Ezeiza airport in February 2019, a massive undertaking in the midst of such a serious financial crisis. Riedi points out a number of reasons why the renovation made sense. “First, we have a long term contract in Ezeiza, so the point in time when you do the renovation is not so important. We should benefit nicely from the new store when this crisis is finished. “Secondly, the stores were really in need of refurbishment. We have been in Ezeiza since 2011 and they needed to be refreshed. Riedi also noted that the government will be building a new airport at Ezeiza. “We see the airport landscape changing for us quite dramatically over the next couple of years,” he commented. With a new airport under construction in Santiago, Chile, recent media reports suggest that a new duty free concession tender will be called. Dufry is the current concessionaire at the existing airport. “We do not know how the airport is going to handle the new space. The airport will call a tender for the new space, but at this time we do not know how they are going to split the space, or what the concession requirements will be. 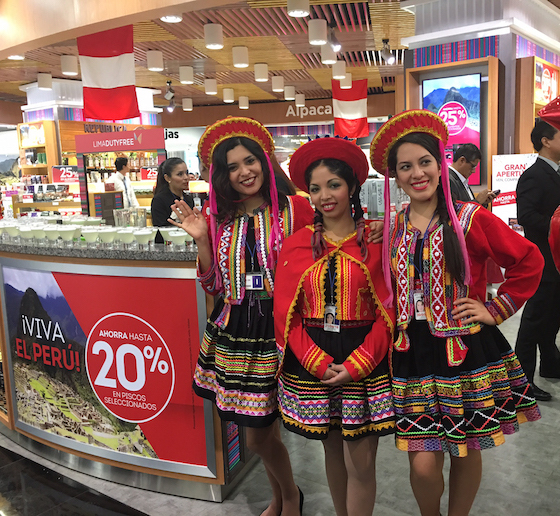 Dufry emphasizes a Sense of Place during the opening of its new airport store in Lima, Peru. Riedi says the Lima Duty Free store, which Dufry opened in August 2016, is a concept that is working very well. Lima was less effected by the crisis than the airports in Argentina, Uruguay and Chile. 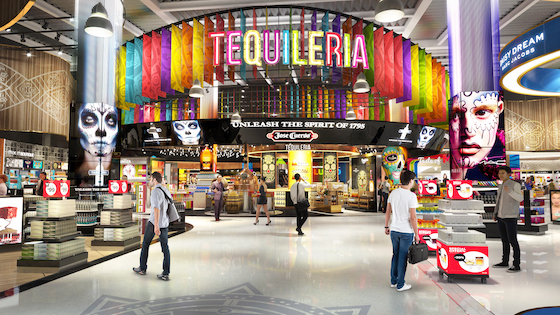 The stunning and colorful Tequileria is a highlight in Terminal 4 in Cancun International Airport, Dufry’s first New Generation store that opened in December 2017. Mexico was not affected at all by the crisis further south. Although Dufry operates many small airports throughout the country, the main focus was on Cancun and Mexico City. Cancun is the second busiest airport in Mexico and a true international holiday destination airport. Dufry is operating stores in Terminals 2, 3 and 4. Airport operator ASUR opened the new Terminal 4 in December 2017, which became home to Dufry’s first new Generation store in the region. As soon as the T4 store was completed, Dufry immediately began renovating its stores in Terminal 3, finishing in mid-2018. The Terminal 2 store was relatively new when Dufry took over from World Duty Free as part of the acquisition. ASUR closed Terminal 1 when it opened the new T4. Mexico City Airport, the busiest airport in Latin America in terms of passengers, is at full capacity but the country’s new president, Andres Manuel Lopez Obrador, has canceled construction of the new airport which had been under construction. “This does not impact Dufry in the short term. For us it is business as usual for now,” commented Riedi. San Juan Luis Muñoz Marin Airport in Puerto Rico, which was seriously damaged by Hurricane Maria in September 2017, is now fully operational and restored, reports Riedi. “The recovery happened much quicker than anticipated. The airport was never a total loss and it had to be restored as quickly as possible to handle relief supplies and aid workers. The commercial flights followed soon after,” he said. Dufry also operates stores throughout the Caribbean, with Puerto Rico and the Dominican Republic being the most important, followed by its stores on the medium-sized islands of Aruba, Trinidad and Barbados. Dufry’s store in the Turks and Caicos Islands was also closed after the storms. “The most important thing is that none of our employees suffered casualties, and that our company was able to do whatever we could to help them recover,” he said.